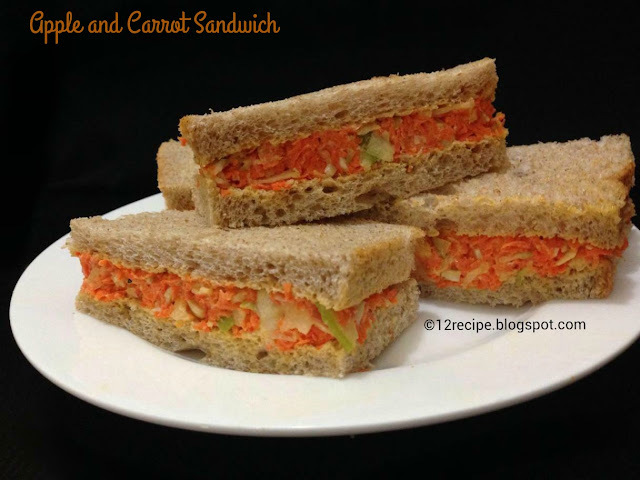 Apple and carrot sandwich is a quick and delicious sandwich packed with the goodness of rich flavor. Apple and carrots are great combinations. You can make it as a two layer or a single layer sandwich. Use freshly shredded carrots and apples and quickly serve this nutritional pack to your kids. Mix grated carrots with grated apple (no need to peel the skin of apple; if you think it is wax coated; then peel it). add salt, cinnamon powder, raisins, cashews and mayonnaise with it; Mix well to form a binding mixture. Apply it on top of two bread pieces as a thick coating. Cover the bread slices with the remaining two slice. 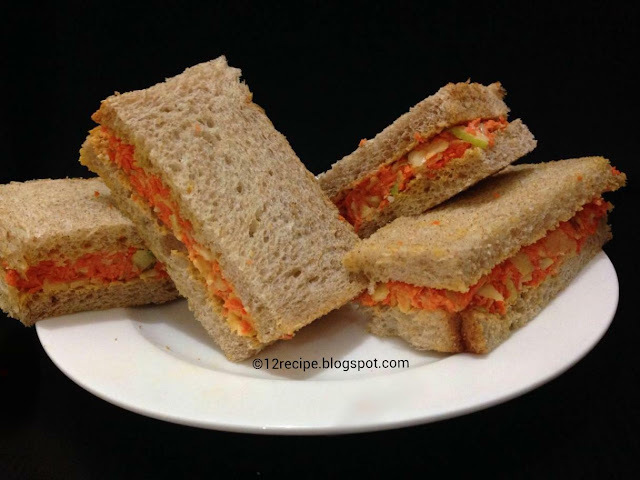 Cut each sandwich in to halves or diagonal pieces.